9 Days, Camel Safari with desert! 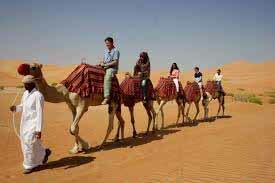 Camel Safari with desert package is a fantastic combination of great North Indian historical cities Delhi - Delhi - Bikaner - Kakku - Daobrawal with famous heritage cities of rajasthan such as Bhardia - Jhamboji - Phalodi - Jaisalmer. Destinations of this Tour : Delhi - Bikaner - Kakku - Daobrawal - Bhardia - Jhamboji - Phalodi - Jaisalmer - Delhi. Arrive Delhi met our representative and transfer to hotel. Fullday delhi sight seeing trip including Qutab minar , India gate, Old Delhi , Evening Transfer to Railway Station to board overnight train to Bikaner. Morning arrival at Bikaner & transfer to hotel. wash and change at Hotel & proceed for city tour of Bikaner. After early breakfast drive for 3 hours to Village Kakku, here you will meet our safari staff & team. Proceed further on camel backs to Daobrawal. Early breakfast & camel ride through sand dunes to Bhardia village. Morning ride through bisnoi village to Jhamboji village. This day is the last day of camel ride starting from Jhamboji to Phalodi, on reaching Phalodi say good bye to the camel riders & teams & drive further to jaisalmer. 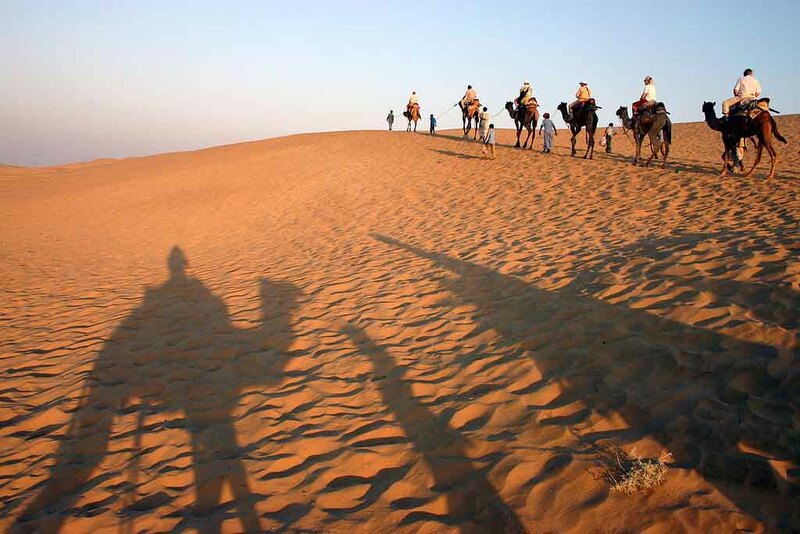 Go on a journey of discovery through Jaisalmer’s spectacular barren desert surroundings. 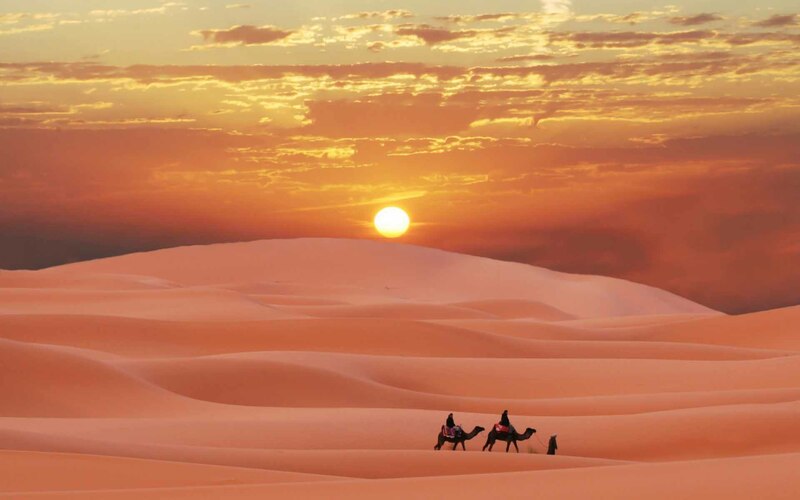 An overnight camel safari is the best way to experience the sheer expanse and beauty of the dunes. Camp under the stars and enjoy traditional cuisine while being entertained by local cultural performances which transport you to days of old through Indian folk music. Dropped into a place of complete solitude, it can invoke feelings of reflection. Alternatively the more expensive overnight jeep safari is increasingly becoming a popular way to enjoy the desert experience. Designed for the more adventurous at heart, feel the wind in your hair as you careen over sand dunes at speed in special 4×4 open jeeps. 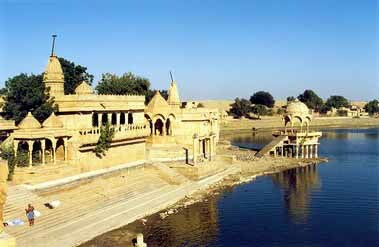 After Breakfast proceed for city tour of Jaisalmer and in the evening take a flight to Delhi.